On Luxembourg-based Bitstamp exchange, bitcoin prices were below $16,000 in recent trade. Bitcoin prices had surged closer to $20,000 in December 2017. The price of bitcoin remained below $15,500 today at the Luxembourg-based Bitstamp exchange. In recent trade Bitcoin was down nearly 4 per cent at $15,476 on the Bitstamp exchange. Bitcoin prices have been volatile in New Year after seeing a massive jump in 2017. Bitcoin prices recently got a boost from media reports that US venture capitalist Peter Thiel's 'Founder Fund' bought large sums of bitcoin. Bitcoin prices recaptured $17,000 mark couple of days ago and had hit a high of $17,149 on Saturday. In India, the bitcoin prices were around Rs 11 lakh mark on bitcoin platform Zebpay (bitcoin wallet). A bitcoin can be bought for Rs.11.11 lakh while the selling price is Rs.10.88 lakh. Despite warnings from regulators of many countries, Bitcoin prices saw a big surge last year. From $1,000 in the beginning of 2017, it surged closer to $20,000 in mid-December 2017, before giving up some gains towards the year-end. South Korea's financial regulator today said it is jointly carrying out inspections on six local banks that offer virtual currency accounts to institutions amid growing concerns increasing use of assets like bitcoin could lead to a surge in crime. The joint inspection by the Financial Services Commission (FSC) and Financial Supervisory Service (FSS) will check if banks are adhering to anti-money laundering rules and using real names for accounts. The Indian finance ministry recently cautioned investors about the risks of trading in cryptocurrencies such as bitcoin, saying digital currency investments are like "Ponzi schemes." 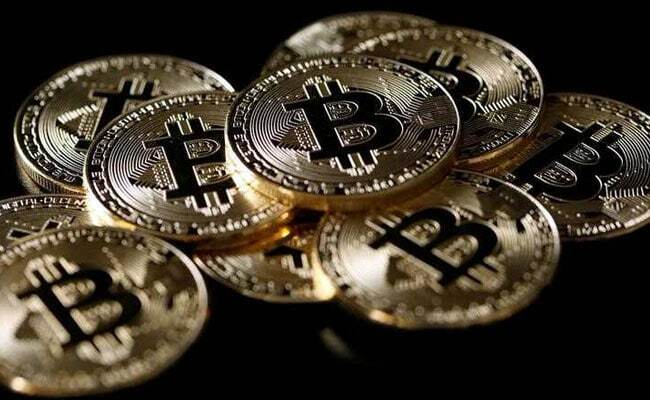 Cryptocurrencies are not legal tender and have no regulatory permission or protection in the country, the finance ministry said in a statement. "There is a real and heightened risk of investment bubble of the type seen in Ponzi schemes", with investors risking a sudden and prolonged crash, the statement said. Singapore's central bank has also issued a warning over cryptocurrencies, cautioning the public about the risk of jumping in on the "bitcoin bubble".